I still have a wilting, yellowed copy of that document. I keep it in a file with all the official ephemera of my student life: examination certificates and school testimonials, records of extra-curricular activities and official class photographs. The backs of the photos are covered in childish signatures that I barely recognise. My signature on the Deed (that is, the legal document mentioned above) looks childish too. I changed my signature during my first couple of years at university to give it more of a flourish. This old one looks rather paltry in comparison. There are other signatures on the Deed, a neat procession of four on the last page, in prosaic ballpoint ink: the Secretary of the Public Service Commission, a witness from the Public Service Commission, and my uncle and my aunt, who were my sureties. I don’t remember if I had to look up ‘surety’ in the dictionary at the time, but the Deed leaves no doubt as to their obligation: to be jointly and severally responsible with me for the money (‘damages’) that would have to be paid if I didn’t complete my course of study or ‘Bonded Period’ to the government’s satisfaction. During that ‘Bonded Period’ (1997–2005), I remember flipping through this document on occasion, just to remind myself of what I had put my name to, all those long years ago. The page I kept coming back to was the one that spelled out the ‘damages’: Singapore Dollars Two Hundred and Sixty-Four Thousand Only (S$264,000/–). On hindsight, it’s incredible to think that I put my name to such an enormous sum without breaking a sweat. It’s more than the bank loan I would sign for, 16 years later, to buy a resale HDB flat. I’m not saying I didn’t know what I signed when I was 19, or that nefarious consequences were concealed from me until after the paperwork was completed. And I didn’t have to go away to obtain a university education. I had a place at the National University of Singapore, where a full four-year undergraduate education would cost less than one year abroad, and it came with no strings attached. But I was also 19, comparing notes with other high-achieving friends about where they might be going to university, which sent me into a tizzy of anticipation about possibly going abroad myself. It was easy to overlook the tedious little details. Anyway, the government made the application process rather straightforward. Even before I had taken my ‘A’ Level examinations, it had sponsored my test fees for the Scholastic Aptitude Test and application fees to two American universities (of its choosing). I only submitted the actual scholarship application form the following year, after I had received my ‘A’ Level results and university acceptance letters. Specifically, I applied for a teaching scholarship because the only thing that I was interested in studying at the time was English literature, and the only thing I thought people did with university degrees in English literature was to become teachers (or journalists, and I didn’t want to be a journalist). Colour me that naïve: I had swiftly concluded that if teaching was my likely career path, I might as well try for the government scholarship and be done with it. Over the next few months, I was shortlisted for an interview (unfortunately, I don’t remember it at all), then some kind of psychological evaluation at Woodbridge Hospital (the first time I stepped into the legendary mental hospital) – then a phone call, followed by a letter, offering me the scholarship. I think about 50 government scholarships for overseas undergraduate study were given out that year. On 30 August 1993, I inked my name on the Deed, and that took (care of) the next 12 years of my life. 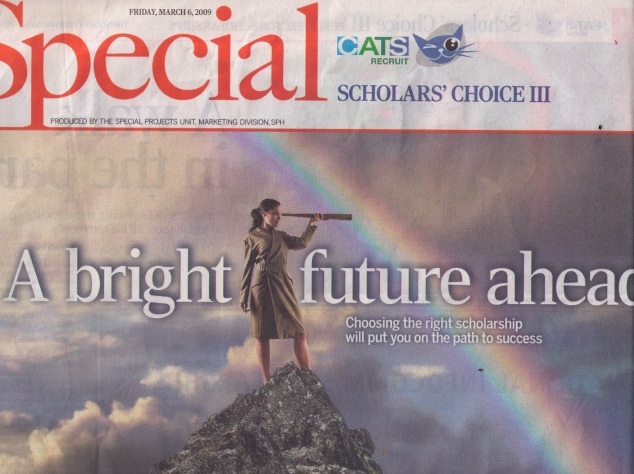 Every March or April, shortly after the ‘A’ Level results are released, the Singapore newspapers unfurl a series of glossy advertisements that extol the joys and wonders of studying abroad on an undergraduate scholarship. I should know; I appeared in one of those ads some years ago. The array of scholarships in the government domain alone is quite staggering: beyond the glittering President’s, Singapore Armed Forces and Singapore Police Force Scholarships, there are also Overseas Merit Scholarships, Singapore Government Scholarships, Local Merit Scholarships, Local-Overseas Merit Scholarships (leave no stone unturned!) and several others. Then there is the slew of offerings from statutory boards and government-linked corporations – far too many to enumerate here, but suffice to say that if the abbreviation for the organisation’s name is immediately recognisable to the average Singaporean (e.g. 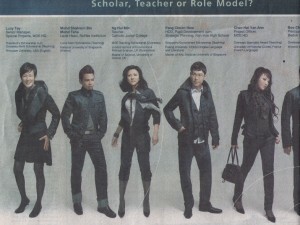 SIA, SPH, EDB or URA), it probably offers some kind of undergraduate scholarship. Most of these scholarships carry bonds of two to six years. Several hundred such scholarships are given out every year, most of them to students from the five or six top-ranked schools in Singapore. In 2008, over 5,000 students applied for these scholarships, as well as for ‘bond-free’ scholarships offered at Singapore universities. In my case, I got bored with English literature – once the love of my life – and picked up a second major in history. I found extra-curricular activities more interesting than my classes. I discovered that, more than anything, I wanted to work in book publishing in New York. And politically, philosophically, I found myself inhabiting a very different position, one that made it hard to stomach certain principles on which our government operates. A couple of years after I started work, I believe a minister called me ‘idealistic’ at one of his ‘tea sessions’ with teachers. I don’t think that’s a bad thing, but let’s just say his tone was not entirely complimentary. I’m not the only government ‘scholar’ whose overseas education turned out to be a life-changing experience, and I’m not the only one who felt like a square peg trying to fit into a round hole when she got home. I’m not ashamed to admit that I wasn’t thrilled about the eight-year ‘Bonded Period’ that stretched before me, and later I was even less thrilled at some of the things that were asked of me, as a government employee. But I served every last damn day of that scholarship bond (and then some): I went to Singapore’s National Institute of Education to get my teaching qualifications, spent some time teaching in a couple of junior colleges, and worked at the ministry of education for a few years. I did my time dutifully and I tried not to think about other opportunities that I had missed, forever. The government certainly doesn’t; that’s not its business. It’s perfectly pragmatic, the way these scholarships are packaged. There’s no better way to lock up all the nation’s bright young things ‘for critical jobs to safeguard Singapore’s future’, as the Public Service Commission scholarships website puts it. Catch them before they have a chance to see how big the world really is, and they won’t have the chance to skedaddle off to more interesting prospects overseas or in the private sector. The nation is kept safe, the ‘scholars’ are kept happy through elaborate career development and remuneration schemes, and the world continues to turn. For those who take it up, is the government scholarship the best way to develop a person? I can’t speak to this with any insider authority because I never made it to the hallowed halls of the Administrative Service. No one ever had a conversation with me that involved grand plans for my future, and I can’t say that I ever felt like very much more than a cog in a very, very, very large machine. I don’t feel slighted – I don’t think I had the qualities they were looking for, nor was I particularly interested in developing them. I didn’t play any of the usual games to get promoted and move ahead in one’s career; if there was indeed some grand design, it’s possible that I simply never stepped up to the plate. At the same time, don’t get me wrong – my eight-year scholarship bond was not spent languishing in some forgotten corner, sulking over the choices my 19-year-old self had made. I was paid well to do various jobs, I did them reasonably well and I also learned from them (though perhaps not always the lessons I was intended to learn). But a lot of what I saw around me gave me pause. I witnessed a lot of people doing things for the sake of doing them or to keep the bosses happy, or doing them the way they’d always been done, just because. There was plenty of sound and a flurry of activity, signifying that the government machinery was at work, but I’m not sure how much was always accomplished. People were valued and ‘ranked’ according to a mystifying and multiplying array of systems; people got lost in the system. I’m sure some of this was simply the consequence of working in a huge organisation—my experience was in a 2,000-strong government ministry that manages a 25,000-plus army of teachers. Friends who work in other fields have assured me that organisational culture can be dismal elsewhere too, be it in other arms of the government or in the private sector, in Singapore or overseas. I suppose it all comes back to the fact that I didn’t really know what I was signing up for. You could say I didn’t research my prospective employer enough before agreeing to my contract. And once I was committed, nothing I saw during those eight years made me want to spend the rest of my adult working life there, even if the work was in pursuit of some kind of national endeavour. One thing that used to bug the hell out of me when I was working in the government was the rather limited control I had over my career. Any job change I wanted to make didn’t simply rely on my current boss agreeing to let me go and my potential new boss agreeing to accept me. It also had to go through some kind of abstruse approval process, which appeared to be at best mere rubberstamping, at worst some kind of arbitrary edict from the powers that be who might (or might not) be privy to some secret plan for my career that I certainly knew nothing about. A classic example of this shadowy paper-pushing was an interview I was asked to attend about a year before my scholarship bond ended. At the time, I was finishing up a posting at the education ministry and due to be posted back to a teaching position in a government school. I didn’t know what the interview was for and I didn’t know who was interviewing me until I entered the room. Rumour had it that this was part of the usual rigmarole to assess interviewees as future school vice-principals, but no one had ever asked me if I wanted to be a vice-principal (or anything else) in the first place. So when my scholarship bond ended, what mattered was not that I quit (because I didn’t, not immediately), but knowing that I could. I could quit, walk away, tell them to shove it, forge my own destiny, far, far away from any paper trail that required a higher-up’s approval or games that involved mystery meetings and interviews. That’s what we were celebrating when a few of us whose scholarship bonds ended around the same time clinked glasses for the occasion. No one had quit and many still haven’t, but we were celebrating the fact that we could. Quitting is a bad word in Singapore. It was co-opted by Prime Minister Goh Chok Tong in 2002 into the phrase ‘quitters and stayers’, which still resonates today. It implies failure, or an abortive attempt that didn’t go anywhere. It goes against the grain of perseverance, forbearance, fortitude and other hallmarks of a good Confucian spirit. But sometimes you need to quit. You need to tell people that I need a break, or enough is enough. Or sometimes: that this is enough for me. We are not all cut from the same cloth. Many scholarship-holders didn’t know, as I did, the exact date on which their scholarship bonds ended and they had no desire to leave after it did. Many have taken on new government scholarships for postgraduate studies. Some really, really enjoy the work they do, and it’s work they couldn’t do anywhere else. Some still hope to change the system. Others seem to stay because they don’t know where else to go. They’re too used to the ins and outs of the civil service, they know too well how to navigate its intricate bureaucracy and read the signs for what’s coming next. Maybe they feel it’s too late to start afresh in a different place. Maybe they just don’t want to. And hey, government pay ain’t bad. Other people who studied overseas on their own dime (or their parents’) have come back to Singapore, even though they didn’t have to, and chosen to work for the government. They believe in government service, even though they would make more money, gain more professional experience or be more professionally esteemed elsewhere. I don’t know that many scholarship-holders who’ve quit the government after their bonds ended. The few whom I know, we joke that we ought to form an ‘ex-scholars’ club, to show people that there is life after finishing the bond and leaving the civil service. But mostly, I think, we just want to move on. Knowing what I know now, if I were to go back to advise my 19-year-old self, would I tell her not to take the scholarship? Some years ago, when I was halfway through my scholarship bond, a very bright and very talented former student called me in desperation. She had to choose between a full bond-free scholarship to a top-notch American university and a top-notch government scholarship to the University of Cambridge. The American university would allow her to study anything she wanted, so long as she maintained a certain grade point average; the government scholarship specified her course of study, with the usual legally binding documents and scholarship bond. Forget job security, I wanted to tell her, that’s the kiasu Singaporean talking. You’re a straight-A student with talent oozing out of your ears. You don’t need to worry about job security. But I knew what she was thinking. I remembered how it felt, looking down that four-year path and wondering what was at the end, beyond the horizon, after university. I understood the full weight of her parents’ opinion that a government scholarship was ‘good’ (even though my parents hadn’t invoked that on me). I remembered what it was like not to know. Students in Singapore spend a lot of time knowing. They know that after six years of primary school comes four years of secondary school, followed by two years of junior college. They know the national examinations that act as wayposts along that path. They know that university is something of a jumbled mess but still, it’s a predictable three- or four-year programme, at the end of which they get a shiny sheet of paper certifying their successful completion of that stage of life. After that, they don’t know. Will they get a job? Will it be a good job? What is a ‘good’ job? Will they earn enough money for the rest of their lives, to marry and own a flat, a house or a car? Will there be enough for everything? Coming out of the Singapore system, I could see the allure of the government scholarship that promised to take care of everything. But to me the attraction of the bond-free scholarship offered by the American university was precisely that it didn’t. If she took it, she could defer making any long-term life choices and spend her university years learning more about herself and being open to new opportunities, not just preparing for a career that was waiting for her at home. The American university could take her away from everything she knew – and that was a good thing. I spent a long time on the phone with that former student, laying out all the pros and cons, spelling out the knowns and unknowns. But I couldn’t make that choice for her or make her make my choices, again. A couple of weeks later, she told me she’d taken the government scholarship. I get the impression that the entire scholarship management process has changed a fair bit since I was in the system. There are work attachments and civil service-related courses held during university summer vacations, where scholarship-holders try on various jobs for size and start jockeying for the ones they want post-graduation. There is a management associate programme that ‘grooms leaders with skills to go beyond being CEOs to become public sector leaders’. Anecdotally, scholarship-holders seem much more confident that there is a career plan for them, that the government wouldn’t let the half-a-million dollar investment per person go to waste. I don’t get the impression that scholarship-holders have very much say in that plan, however. The government scholarship application and selection process runs along similar lines today. A private service provider has even created the blithely named BrightSparks website, where students can apply online for scholarships from 77 government and non-government scholarship providers. Particularly outstanding students may also be conditionally offered government scholarships before their ‘A’ Level examination results are released (though the award of the scholarship is usually contingent on their results). The eight-year bond attached to my scholarship went out of fashion around 1997, although it did not retroactively apply to my contract. 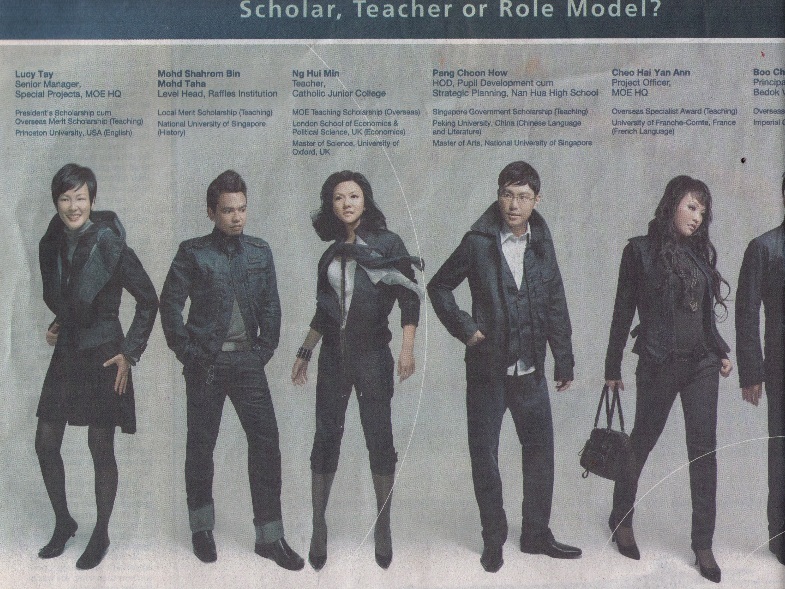 Samantha Eng, ‘More students applying for scholarships this year’, The Straits Times, 15 April 2008, p. H4. Public Service Commission – Scholarships. 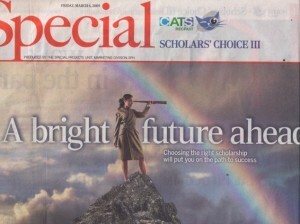 <http://www.pscscholarships.gov.sg> Accessed on 31 March 2009. Speech by Prime Minister Lee Hsien Loong at the 2007 Administrative Service Dinner at the Meritus Mandarin Singapore, on 22 March 2007, at 8.00 p.m. < http://app.psd.gov.sg/data/PMSpeechatASDon22Mar07.pdf > Accessed on 31 March 2009. The Administrative Service in Singapore is positioned as the most challenging and prestigious career path in the public service. Its website describes its raison d’être as ‘to recruit, groom and develop the next generation of public service leaders’. < http://www.adminservice.gov.sg/AS/ > Accessed on 31 March 2009. Goh said, ‘Fair-weather Singaporeans will run away whenever the country runs into stormy weather. I call them “quitters”. Fortunately, “quitters” are in the minority. The majority of Singaporeans are “stayers”. “Stayers” are committed to Singapore. Rain or shine, they will be with Singapore.’ ‘Remaking Singapore – Changing Mindsets’, National Day Rally Address by Prime Minister Goh Chok Tong at the University Cultural Centre, NUS, on Sunday, 18 August 2002, at 8.00 p.m. < http://www.gov.sg/nd/ND02.htm > Accessed on 31 March 2009. Public Service Commission – Scholarships. < http://www.pscscholarships.gov.sg/MAP/?indexar=2 > Accessed on 22 March 2009. Yu-Mei Balasingamchow is a writer. She studied English and history at Northwestern University in the US on an Overseas Merit Scholarship (Teaching) from the Singapore Public Service Commission. She completed her scholarship bond on 14 July 2005 (as far as she knows, anyway – she never got PSC to verify the exact date). She is the co-author of the forthcoming Singapore: A Biography, a popular history of Singapore. She divides her time between living in Singapore, where she writes about history, film and culture, and travelling across Asia, researching and writing for travel publications such as Lonely Planet. 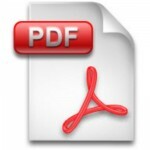 For the ease of online reading of this post, we have extracted the published comments and compiled them ‘raw’ in a pdf document available for anyone interested. Download comments.